We explicitly do not wish to replicate the advertising agency model. The move allows the agency to work towards being a client’s primary communications partner. This includes bringing ideas that are “earned at the core, social by design, and work across earned, owned, shared and paid channels”, he added. 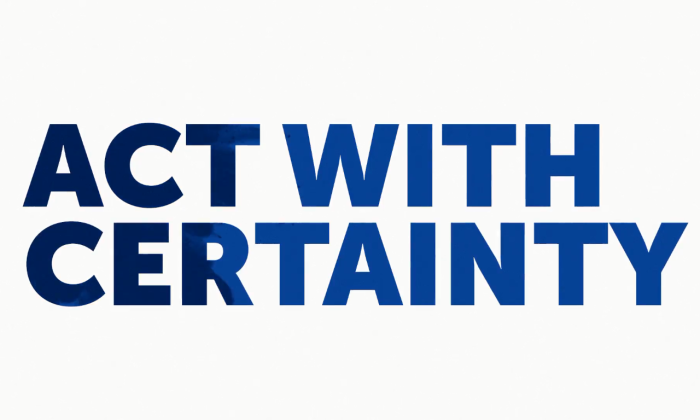 Following the move, Edelman has launched a new campaign called “Act With Certainty” which looks to showcase its new vision, while quoting statistics from its Earned Brand Study and Trust Barometer research. The spot also showcases brands the agency is currently working with such as Dove, Adobe, adidas, Unilever, HP, Novartis, Vaseline, Samsung and Unicef, to name a few. Edelman added that clients on board its new creative positioning include Heineken, REI, CVS and Dove. For the case of Dove, Edelman conceived and executed its creative campaign. Meanwhile, it partnered with ad agencies for some other work. The agency also revealed a 700-person social digital unit, and its addition of 600 creatives, planners and paid media specialists in a bid to bring in new skills. It also has a subsidiary called United Entertainment Group which is dedicated to entertainment and sports. Meanwhile, its Edelman Intelligence business offers data and analytics to allow the agency to write its programs based on insight and instinct. Plans to launch a global c-suite communications advisory business is also underway. Altogether, the new hires represent an approximate 25% of the Edelman team. In Asia, Edelman has slowly been hiring from the creative world as well. In Malaysia, Edelman named former MullenLowe MD Mazuin Zin as the managing director for Edelman Malaysia and also brought on board Sailesh Wadhwa, formerly planning director at MullenLowe. Through insight, intelligence and independence, the agency aims to help clients create campaigns and movements that “earn attention and trust, drive sales, and make meaningful change for society”, he added. “We have evolved our firm because the operating environment demands a broader set of skills. More than 50% of Americans now get their information outside of traditional media, making the use of social media platforms and direct communications with consumers a necessity,” Edelman said. He explained that for the past five years, Edelman has steadily advanced in its ambition to become a communications marketing firm. It believes that reputation and marketing are inextricably linked and that “companies and brands must act, not simply communicate”. As part of the campaign, its Diamond Princess cruise ship will be homeporting in Singapore for the first time in November this yea..
Dorsett Hospitality International's Philip Schaetz says marketing strategy for hotels should not be driven by the hotel group's br.. Grab will introduce more GrabKiosks and GrabBooths in busy consumer hubs such as shopping malls, hotels and airports. .. The company opted for a "daring concept", with the cuckoo bird as the main idea, to make its ads stand out. ..